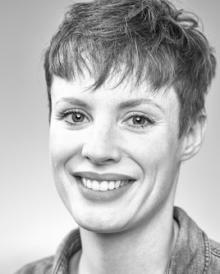 Winner of 'Best Radio Promo' Award at 2018's One Voice Conference, Hannah is an extremely versatile voice actor with a wealth of experience in TV commercials and radio imaging work, as well as animations, audiobooks, narrations and corporate voiceovers. Intuitive, accurate, and easy to work with, she has built up a roster of fantastic clients in her 8 years in the industry. Hannah has a youthful, modern-urban sound for radio imaging, a fresh, well spoken professional sound for corporate work, a conversational and trustworthy sound for documentaries, a repertoire of quirky character voices for animations, (especially children's voices), plus a wide variety of accents. She has excellent comic timing and is naturally funny, always ready to throw in a wild card. As a professional singer and songwriter, Hannah brings musicality to her performances and is able to sing straight or in character. Hannah's native accent is neutral home counties, but she works in urban London, and a range of regional UK accents. Her voice 'age' ranges from child, through a teenage girl-next-door, to a woman in her 20's, to a kind-sounding 'Mum' in her 30's. Working from her broadcast quality seaside home studio in Ramsgate, Kent, (one hour 15 mins from central London) Hannah takes directed sessions via Source Connect Now and Session Link Pro and can turn short form projects around within 12 hours. STUDIO SET UP: NEUMANN TLM 103 MIC, GRACE M101 PREAMP, APOGEE DUET AUDIO INTERFACE & BESPOKE-BUILT ISOLATED VOCAL BOOTH.